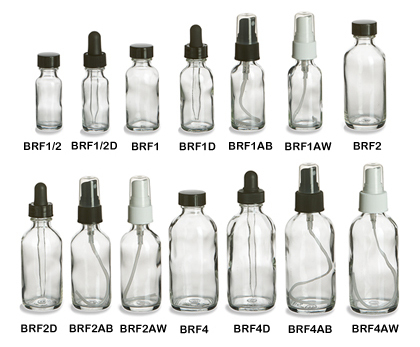 These clear Boston round glass bottles are a versatile choice for food, beverages and body care products. They are easy to label, durable and showcase contents beautifully. Choose standard caps, spray caps, bulb droppers or our convenient pump options. All prices include the closure of your choice.